When I was in elementary school or early middle school, my mother gave me an old pair of diamond stud earrings. I loved them. It was my first piece of “real” jewelry, and I knew I had to be careful with them because something that precious requires protection. I kept them in my ears at all times throughout middle school and high school, only taking them out when I got silly guitar earrings or fancy costume jewelry for a dance. I kept them in throughout college and grad school, only taking them out occasionally to wear a nice pair of earrings my husband bought me for my 21st birthday or the earrings he bought me for our wedding day. I loved those earrings, and if anything had happened to them throughout these years, I would have been devastated not only because they were a gift from my mother, but also because they have value. This might sound crazy, and I’m sure this isn’t anywhere near where you thought I was going with this post, but I think these earrings are the reason I developed severe Obsessive Compulsive Disorder (OCD) in middle school and suffer from it to this day. Because I was so afraid of losing them, I constantly, constantly checked to make sure they were still in my ears. They were important to me, after all, and if I lost them, at least I would have a general idea of where they were, since I checked them so frequently. But reaching up every fifteen seconds and checking to make sure my earrings were still in my ears was a tad excessive, and it didn’t go unnoticed. My family noticed, my friends noticed, and my teachers noticed; the only person who didn’t seem to notice was me. Slowly, without even noticing it, mental illness was taking hold of and destroying me. And it wasn’t just my earrings I was obsessed with. I was obsessed with locking doors and making sure they were locked, even if that meant getting out of bed for the seventh time to make my rounds. “There’s safety in a locked door,” I would tell myself, justifying my compulsions. It was important. I was keeping my family safe, and my nights spent watching myself twist deadbolts back and forth were worth every second. I was also obsessed with my school work. On my homework, I would spend hours staring at one word to make sure it was spelled correctly. On handwritten homework assignments, I would ruin countless sheets of loose leaf from digging my pen so hard into the paper that it would rip. I would use white out excessively to make sure my handwriting was perfectly legible, just in case my teachers couldn’t recognize that one letter in that one word. I justified my compulsions by telling myself it was for school, my grades—the most important part of my life at the time. I wonder now if my teachers ever suspected anything from the physical state of the homework I turned in—if they ever thought that maybe I was suffering from a mental illness. They would have been right. These are just a few of the compulsions that haunted me for ten or so years. I could continue, but there’s something more important to write about: recovery. I didn’t come to know Jesus Christ as my Savior until my freshman year of college, three years after trying to tackle my OCD and anxiety through counseling (I refused to take medicine for some reason). Don’t get me wrong—I loved counseling and still love counseling—but it never pointed me to what I needed. It pointed me to myself, to bring about my own peace through my own actions and a renewed mindset. But I didn’t need myself; I needed Jesus, and after six years with Him, I’m finally starting to feel that peace. The Truth is I can have peace from my mental illness because a child was born. The child we celebrate this month is the reason we, as followers of Christ, have nothing to fear. Jesus beat the odds (because, you know, He’s God), and He gives me the strength to beat my odds (and oddities) every day. My OCD and anxiety have been based in fear, but there is no fear in God’s love. In Him, I can be free. I found my earring both times—when I was worried and when I wasn’t—but I’ve been learning that these earrings really don’t matter in the grand scheme of things. It’s a bit too late now, but my schoolwork didn’t matter in the grand scheme of things, either. Heck, the safety behind my all-important locked doors doesn’t even matter. Nothing matters except Jesus, and He’s not going anywhere. As long as I have Him, I am a lily in a field—perfectly arrayed, without need or worry. When you’re obsessed with Jesus, you don’t have time to be obsessed with anything else. When you’re obsessed with Jesus, your compulsion is to pray. 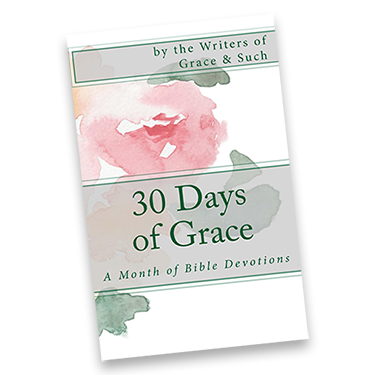 My prayer is that I can get to that point, that I can become obsessed with Jesus instead—that I will no longer feel trapped by an illness that saps my joy, and instead pray without ceasing, fulfilling His will for me. That is the peace of the Gospel—the peace I was so desperate to find for over a decade—and I don’t need to compulsively check to see if it’s still there. It’s eternal. And that is a peaceful thought. No way to say it better. 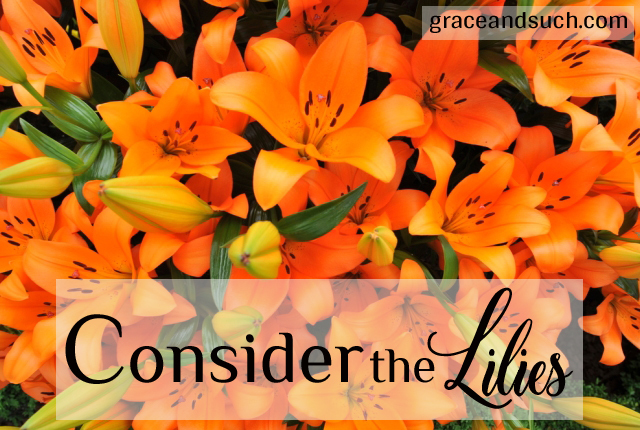 ‘As long as I have Him, I am a lily in a field—perfectly arrayed, without need or worry.’ Thanks for sharing! There is so much healing available in Christ! I know your struggle and I know your release. Thankful for the peace He gives and has given us! Beautiful post, Natalie. Don’t you love it when God make something beautiful out of the hard stuff? I’d say your faith in relationship with him is more than beautiful. So glad you’ve found peace Natalie. When we remember that He is within us, we remember that we are enough. This helps us to put our compulsions to rest. Instead of striving for perfection, we can rest in Him.